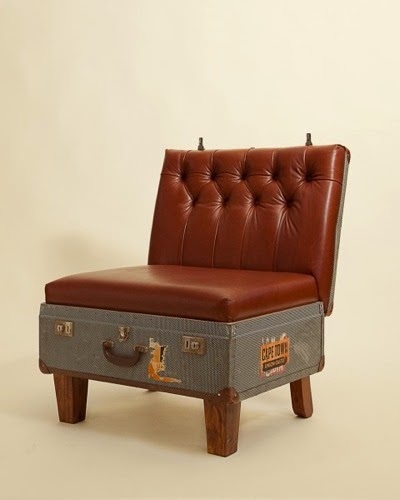 Vintage suitcases are pretty great on their own, but they're even better when reinvented and put to use. 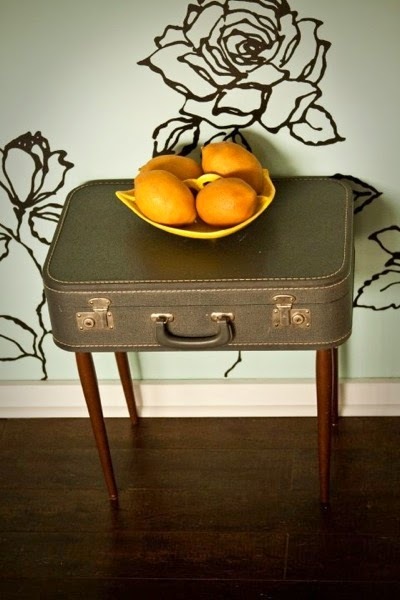 i pinned that suitcase table a while back. LOVE IT. so much charm, right? those are really neat! i love the one at the foot of the bed. 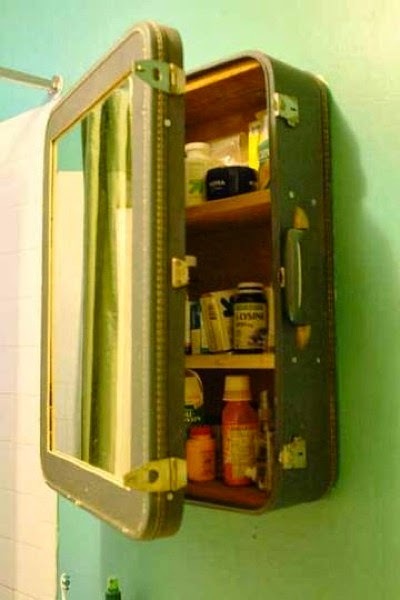 i'd love to try that. 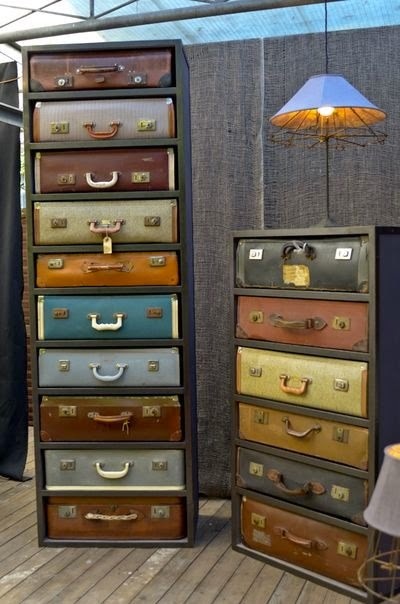 What clever ways to repurpose vintage suitcases!! Just darling! 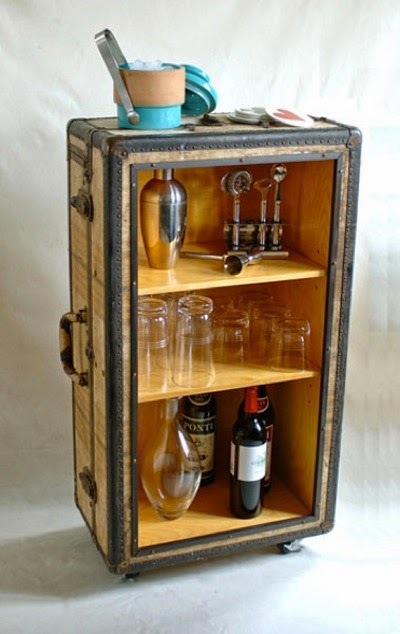 The cases are great - I love the little bar cart! 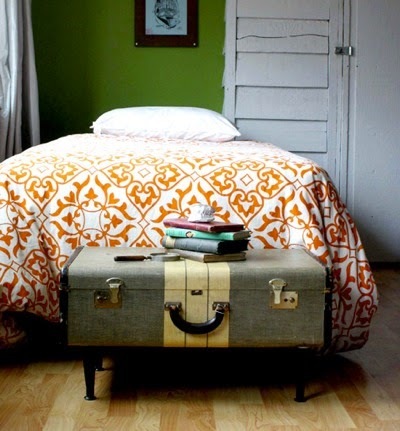 And how about that duvet cover?! Love! I love these so much, thank you for sharing! It's really a nice and useful piece of info. I am happy that you simply shared this useful information with us. Please stay us up to date like this. Thank you for sharing.